Hi, my name is Cindy and I’m a Yarnaholic. I wasn’t always an addict. There was a time when I could walk into a local craft store and purchase just a skein or two of acrylic and be on my way. Then a so-called ‘friend’ of mine told me about some wicked Merino that could be found at the local yarn shop around the corner and I was hooked. 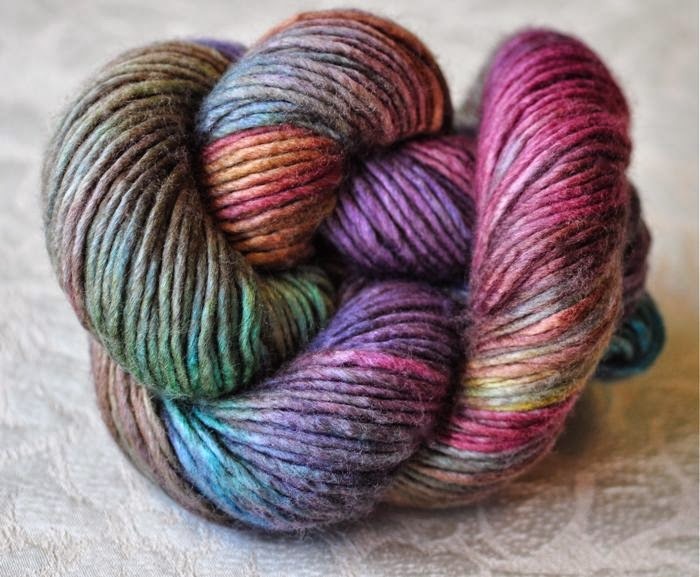 At first I could control my purchases… just buy a skein here and there to add to my stash. But then I visited a shop that was going out of business, everything was 50% off and my addiction kicked in full throttle. I think I lost consciousness for a bit and when I came too and emerged from the shop I couldn’t even bear to look at the receipt and the damage I had done to my credit card. Yes, it was shameful but did it stop me? No. Somehow I was able to justify the purchase... “It was just this once” and “It’ll never happen again.” But it did happen again! Within a few weeks I was scoping out other yarn shops and I was no longer satisfied with simple wool. I moved on to wonderful blends of alpaca, silk and cashmere. My baskets at home were overflowing and I had to purchase shelves and storage bins to accommodate my bounty. Then one day another ‘friend’ pointed out to me that I needed to buy enough yarn at one time to complete a PATTERN. What a great concept! But now, not only did I need to purchase more yarn, I also needed to have a multitude of patterns that would accommodate any quantity of yarn that found its way into my life. If yarn is like crack, then patterns are heroin. I started out slowly by going to libraries and buying back issues of magazines. This quickly lead to my setting up a knitting book search on Paperback Book Swap and purchasing actual magazine subscriptions. Before I knew it I was becoming too impatient to wait for books on PBS and started ordering them directly from Amazon. They quickly started piling up… more shelves and more storage were needed. To date, counting the book I got in the mail yesterday, my library includes 94 books, 45 magazines and 77 single patterns for a total of 3,183 patterns (I am forever indebted to Ravelry for helping me keep track!!!). It’s comforting to know that there are others out there like me, we go to meetings on Wednesdays and Saturdays, we talk about our addictions and where we got our last ‘fix.’ We pass around luscious skeins of yarn and covet each other’s stash. If a rehab exists we will avoid it at all cost and will happily live out our days like the yarn junkies we are.